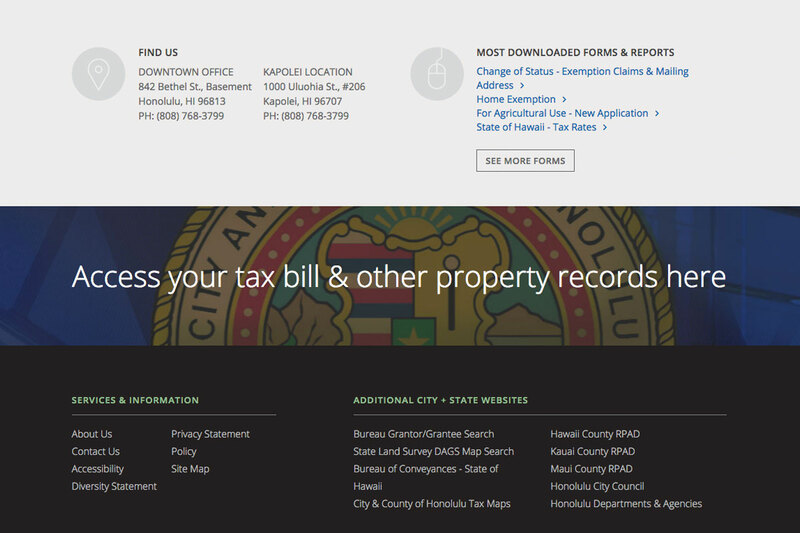 The Honolulu Real Property Assessment Division (RPAD) website provided a confusing user experience that prevented users from easily finding the information they needed or submitting an online appeal. 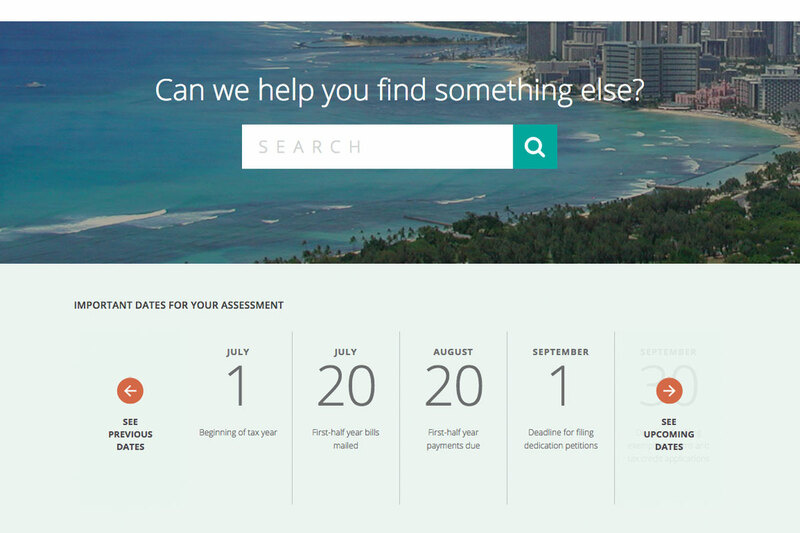 When their website users were unable to find answers to their questions they would call RPAD for help which took their employees away from processing the appeals forms and created more work. Additionally, their form submission process relied on disjointed technology that created internal redundancies and human-driven errors. RPAD needed a website that emphasized a deeper commitment to their users – a radical design shift that prioritized the needs and experience of their website users. Their main goal was to provide users with an intuitive navigation experience that allowed them to easily access and interact with key information and features throughout the website. RevaComm’s objective was to design a product that would further simplify how users interact with the website. By increasing the website’s accessibility, we would make it easier for residents to find answers to their property-related questions. Offering timely and reliable information while making processes easier. While the new website has a clean, modern feel, much of the real work shines on the development side of the project. 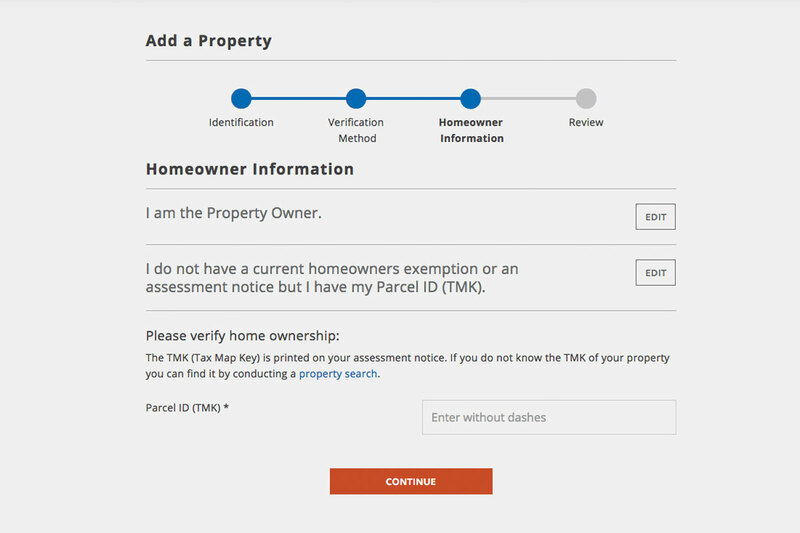 New features include increased security and a unique multiple appeal function that allows property owners to file multiple appeals in a single transaction through a new cart feature. 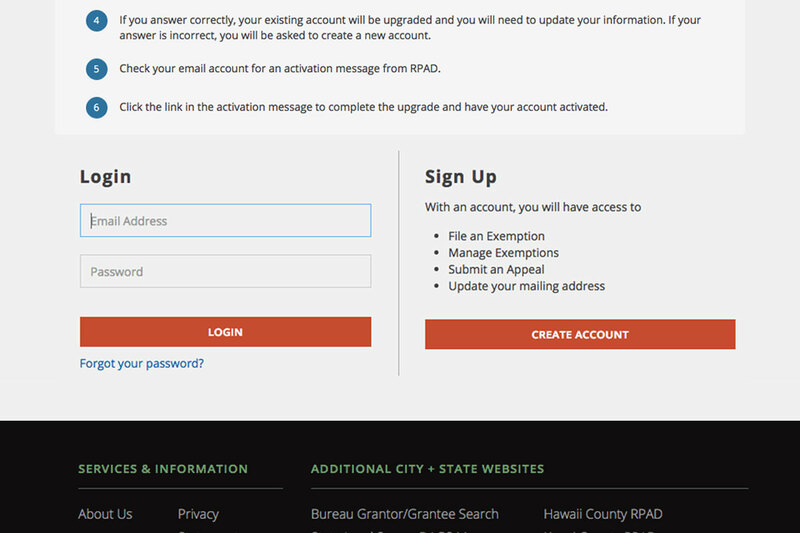 The website still boasts a custom, online process that gives users the ability to register and receive assessment notifications via email and submit exemptions and appeals online. This system drastically decreases the number of hours needed to process exemptions and appeals and helps streamline the submissions process.